The MMRA monthly clean up days takes place this Tuesday February 5th at 10.30am. 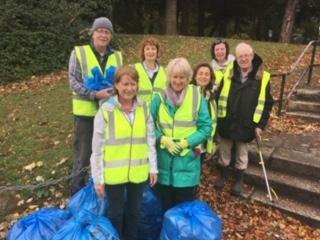 Please join Clare Kelly and the team to pick up rubbish in the suggested area for about an hour, and then adjourn for a complementary coffee in Michael’s on Deerpark Road. MMRA High visibility jackets, pickers and blue bags will be available. Meet at Mount Merrion Community Centre at 10.30am. If you are free, do come along.